Final sales numbers confirm that Toyota's 2012 car sales topped those of General Motors and Volkswagen. 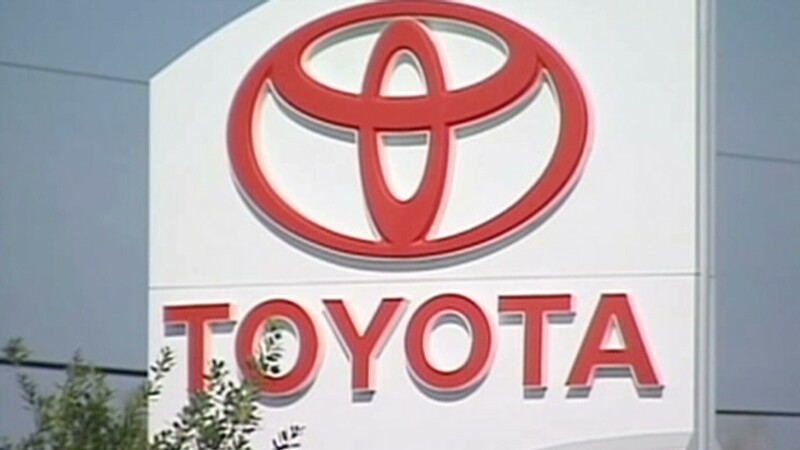 Toyota officially recaptured the title of world's largest automaker Monday, as its final 2012 sales total topped General Motors, which held the lead in 2011. Earlier this month, General Motors (GM) announced global sales of 9.29 million vehicles for the year. On Monday, Toyota Motor (TM) reported global sales of 9.75 million, topping its forecast of 9.7 million vehicles. Volkswagen Group (VLKAY), which includes the VW, Audi and Porsche brands, came in at No. 3 with 9.09 million vehicles, the first time the company has topped 9 million. GM is the leading automaker in the world's two largest markets, China and the United States. 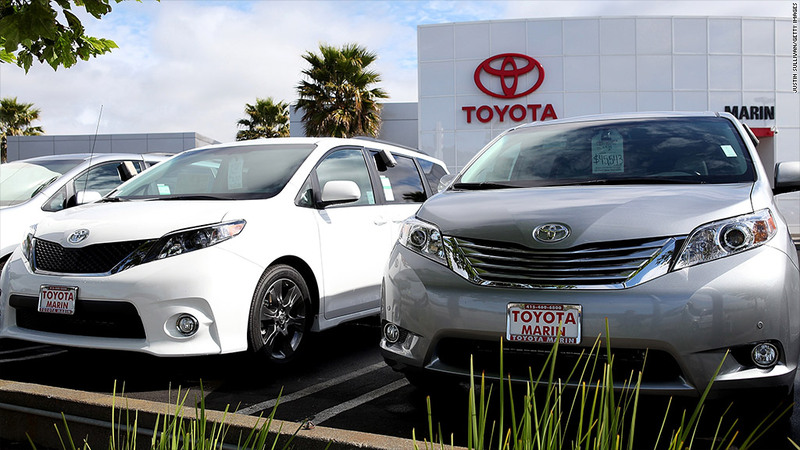 But Toyota is a clear leader in its home market of Japan, where non-Japanese automakers have had trouble competing due to limited dealerships. Toyota enjoyed a bounce-back year in Japan, with sales rebounding 35% from 2011, when they were hurt by the earthquake and tsunami. Toyota's sales totals were also helped by the fact that it made more than 600,000 heavy-duty trucks and buses during the year, a segment GM essentially pulled out of in 2009. Toyota is No. 3 in U.S. sales, a key market where Ford Motor (F) is No. 2. Ford took that ranking back from Toyota in 2010 when the Japanese automaker was hit with recall problems that forced it to stop selling its most popular models for a period of time. GM led in global sales for 77 years through 2007, when it finished just barely ahead of Toyota. Both automakers' sales suffered in 2008 as the bottom fell out of the U.S. economy, but high gas prices and a looming bankruptcy at GM ultimately nudged Toyota into the lead, where it stayed for the next two years. The federal bailout of GM in 2009, and the problems at Toyota over the next two years, allowed the U.S. company to recapture the lead much quicker than most expected. Both Toyota and GM downplayed the importance of the global sales title in their comments on the change in rankings. "While sales volume is important, our goal is to be the No. 1 brand for the customer, not No. 1 in volume," said Toyota spokesman Steve Curtis. "We're grateful for the support of our customers." GM spokesman Jim Cain said his company was not particularly concerned with the sales ranking when it moved into the top spot a year ago, and isn't overly concerned now. "It was entirely predictable that Toyota was going to do better this year given the bounceback from the earthquake and tsunami," he said. "What's important to us is we remain the market leader in the United States. We gained a full percentage point of share in China, and we'll soon have one of the newest [lineup of vehicles] in the industry. Without handicapping any races, we think we'll do very well with profitable growth this year." Mike Wall, auto analyst for IHS Global Insight, said it's possible GM could come out on top in 2013. A territorial dispute between China and Japan could adversely affect Toyota, while the recession in Europe could be a drag on Volkswagen's sales growth. "In terms of GM returning to the lead, I certainly wouldn't count them out, especially with the product they're set to introduce this year," he said. "I actually think all three will be huddled close together for the next few years." Toyota investors: What a feeling! Wall says GM is a much healthier company today at No. 2 than when it held the sales lead in the previous decade but posted huge financial losses. "The sales lead makes for bragging rights, but GM is a stronger company than it was then," he said.